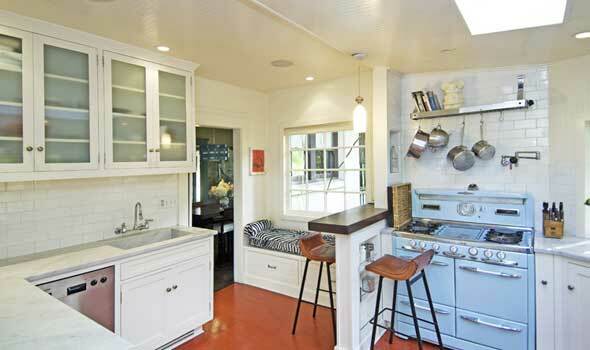 Finally, celeb Kristen Bell has a fun, comfy and fresh kitchen. Love the white with yellow and orange highlights. The sage throw carpets add a nice balance. We think the pups are cute too. 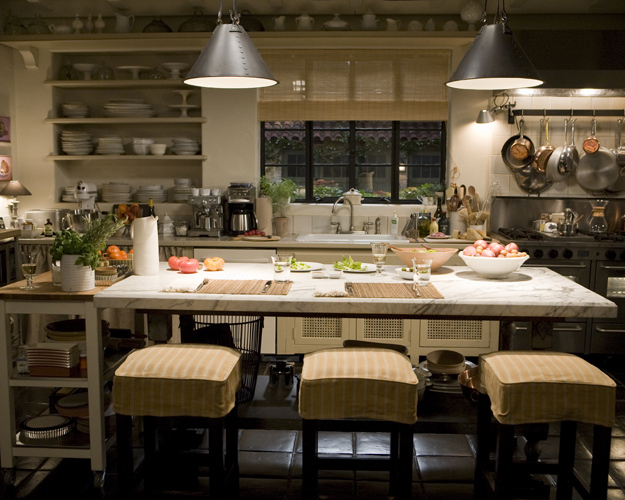 Use some of these cool ideas to enhance your own kitchen space in your new apartment. If you are going to move to a new apartment, check out our Renters Corner at the top of this blog for helpful info on how to make your move and settling in easy and stress free. 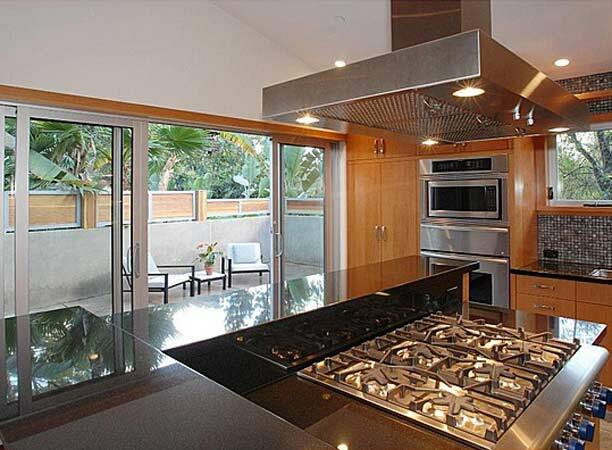 Apartments i Like has more information and Renters News to give you ideas also. 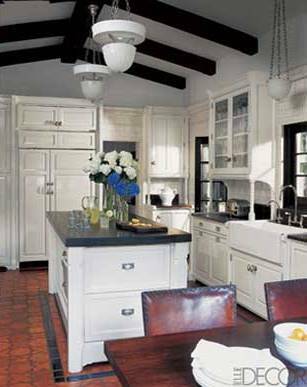 This entry was posted in Celebrity Homes and tagged actors, actresses, apartments, architecture, Ashton Kutcher, Ben Stiller, celebrities, Celebrity Homes, celebrity kitchens, decor, decorating, design, designers, furniture, Hollywood, Hollywood homes, home, interior design, interiors, kitchens, Kristen Bell, movies. Bookmark the permalink.